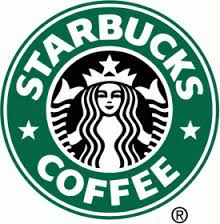 CNBC reported on Thursday, 22nd January, 2015 that Starbucks Corporation (NASDAQ:SBUX) had reported an EPS of $0.80 and an increase in net income by 71 cents or $1.30 per share. There was an increase in the net revenue too and it was slated at 13%, thus amounting to $4.8 billion for the first quarter of 2015. Other figures which also recorded a positive increase were same-store sales on a global scale which had gone up by 5% and store traffic which showed an increase of 2%. Owing to all the good news, share value of the company was up by 4% towards the end of the trading session. Another unprecedented good news for the company was the surge in the dollars loaded on to Starbucks cards and this increase, which had been recorded at 17%, translated into $1.6 billion. An implication of this was that one in every seven Americans received a Starbucks card during the holiday season. The concept of gift cards had been introduced to encourage people to use outlets operated by Starbucks Corporation (NASDAQ:SBUX) all through the holiday season not to mention the incentive of winning a free cup of coffee for the next three decades to come. Icing on the cake has been the announcement pertaining to Kevin Johnson taking over the mantle of Chief Operating Officer for the company from 1st March, 2015 onwards. Mr. Johnson is slated to take over from Troy Alstead, the current COO who is going to be on indefinite leave with the intention of spending time with his family. On his part Kevin Johnson has worked at Juniper Networks Inc and followed it up with 16 years at Microsoft Corp. Therefore, his appointment as the second-in-command at Starbucks Corporation (NASDAQ:SBUX) is likely to augur an era of increased digital payments and innovations.